This is the last round of the Band Sampler RR started last summer. 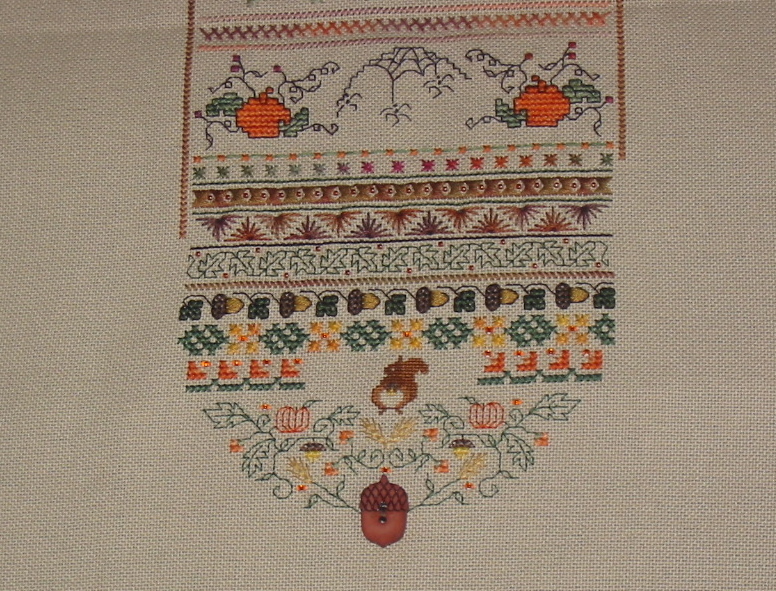 It was great fun to stitch on all the different samplers. Each one was so unique. 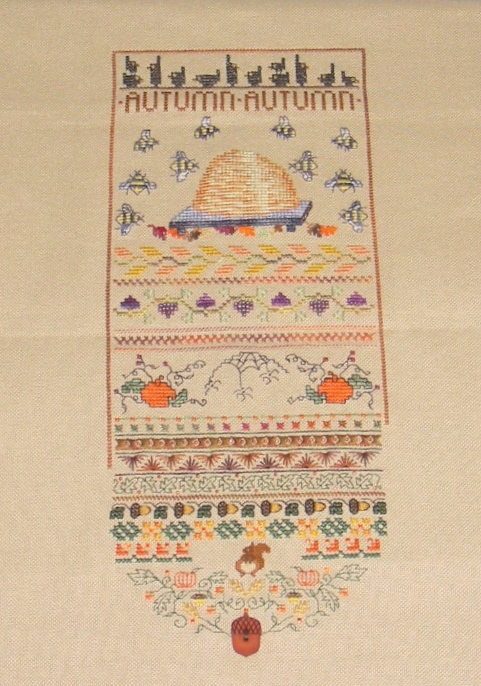 I stitched with a wonderful bunch of ladies and they are all such great stitchers. So here is the last bands for Michelle’s Band Sampler RR, her theme is autumn. Here is the whole sampler. I wanted a different button for the bottom but I waited a bit too long to order it. So it was not here in time so I went with one already in my stash. It is a bit bigger than I wanted and Michelle can easily remove it if she doesn’t like it. My next Band Sampler RR will start in May and so now I will have to get my supplies for that one. I chose to do an Indigo Rose theme because I love how all the samplers are a mixture of specialty stitches, blackwork and cross stitch. I am hoping that my Band Sampler will be the same although specialty stitches will not be required because not all stitchers like to do them.